In this video, Dubspot Instructor and Ableton Certified Trainer Josh Bess explores some ideas and techniques from his new book “Electronic Dance Music Grooves.” The book provides insights to help you understand how to build exciting, powerful, and compelling electronic drum grooves. In addition, the book showcases approaches discussed in the Dubspot Music Foundations Level 1, and Ableton Live Production Courses. In this video, Dubspot Instructor and Ableton Certified Trainer Josh Bess explains how the drum grooves you create, and the sounds you use can change the genre and style of your music. 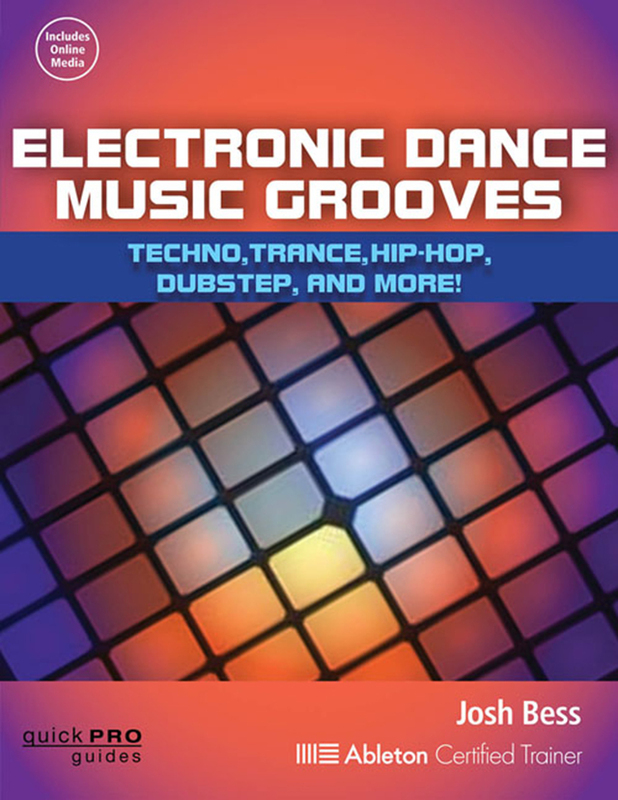 Josh takes us further into this concept in his latest book, “Electronic Dance Music Grooves,” which provides insights to help you understand how to build exciting, powerful, and compelling electronic drum grooves. Whether you’re into House, Techno, Dubstep, Drum and Bass, Garage, Trap, Hip-Hop, or more, this book will help you take your skills to the next level. Josh Bess introduces an extremely efficient and intelligent groove-making system that will help you build the foundation for any style of music. This book also provides a MIDI Map that includes grooves and samples designed to make it simple to create various drum patterns, grooves, fills, and transitions. Whether your preferred DAW is Ableton Live, Reason, Pro Tools, Logic, or any other popular music production and performance software application, you’ll quickly be equipped to incorporate these grooves and samples into your own creative workflow. *Samples and sessions are delivered online to ensure access to all content, whether you’re using a desktop, laptop, or mobile device.